Urbanest Swanston Street is an eight-minute walk from Melbourne Museum, so you won’t have to walk far to check out the exhibits or admire the Royal Exhibition Building as you relax in the beautifully landscaped gardens. Popular coffee shop The Queensberry Pour House is just around the corner, and Lygon Street’s restaurants are a few steps in the opposite direction. When you’re in the mood to shop, Melbourne Central is 10 minutes from your door. The central location of your student rental in Melbourne means that you can get to lectures with ease. Walk to RMIT University, Melbourne City Campus in two minutes, and University of Melbourne in 15 minutes. 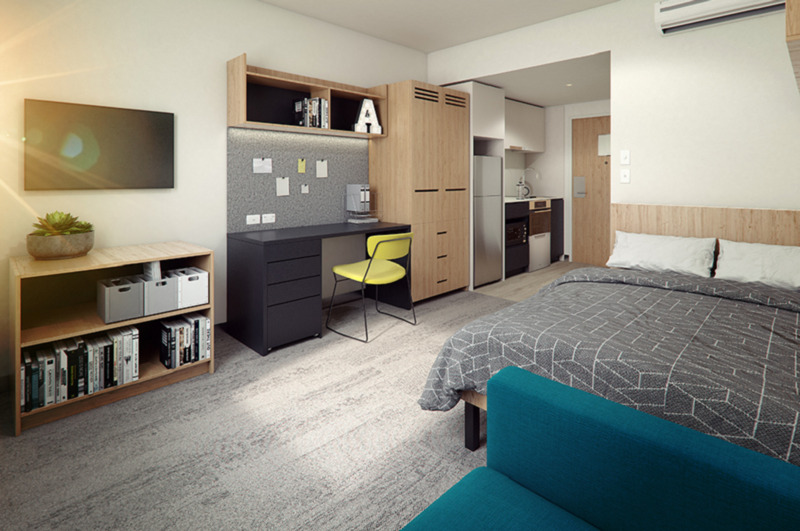 Monash College is an 18-minute walk from your door. 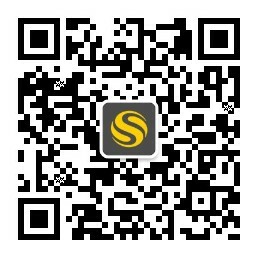 Secure bike storage is available. 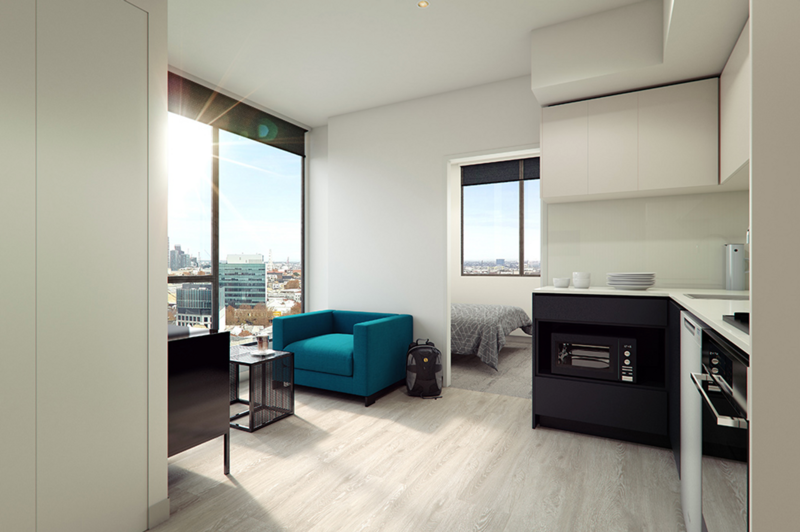 At Urbanest Swanston Street there’s a range of shared rooms, single ensuite rooms in shared apartments, and studios or one-bedroom apartment, which makes it easy to find a space that suits your needs and your budget. There’s Wi-Fi throughout, and there’s secure access and CCTV to keep you safe. Whatever type of accommodation you choose, you’ll have access to great social spaces. Head up to the Sky Terrace for a BBQ, or stay indoors and meet friends in the large ground floor social area. 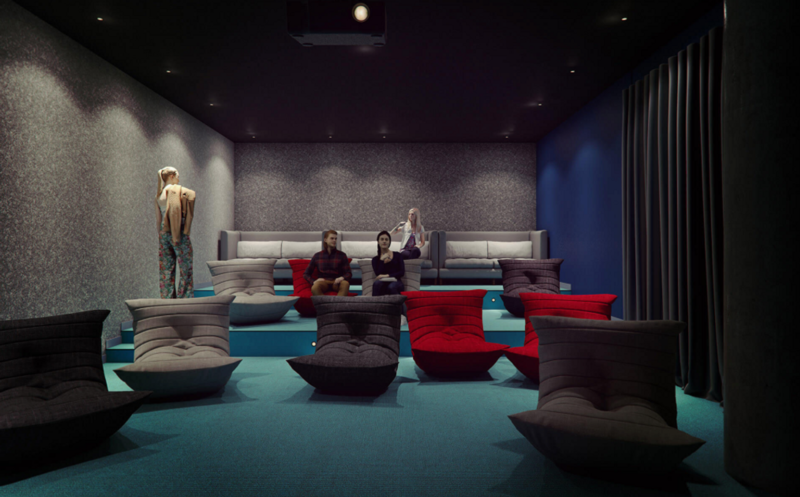 There’s a fully-equipped rooftop gym, as well as a cinema where you can enjoy movie nights with friends. We couldn't find a room that matches your preferencesView all Shared Room in urbanest Swanston Street. We couldn't find a room that matches your preferencesView all Private Room in urbanest Swanston Street. We couldn't find a room that matches your preferencesView all Entire Place in urbanest Swanston Street.